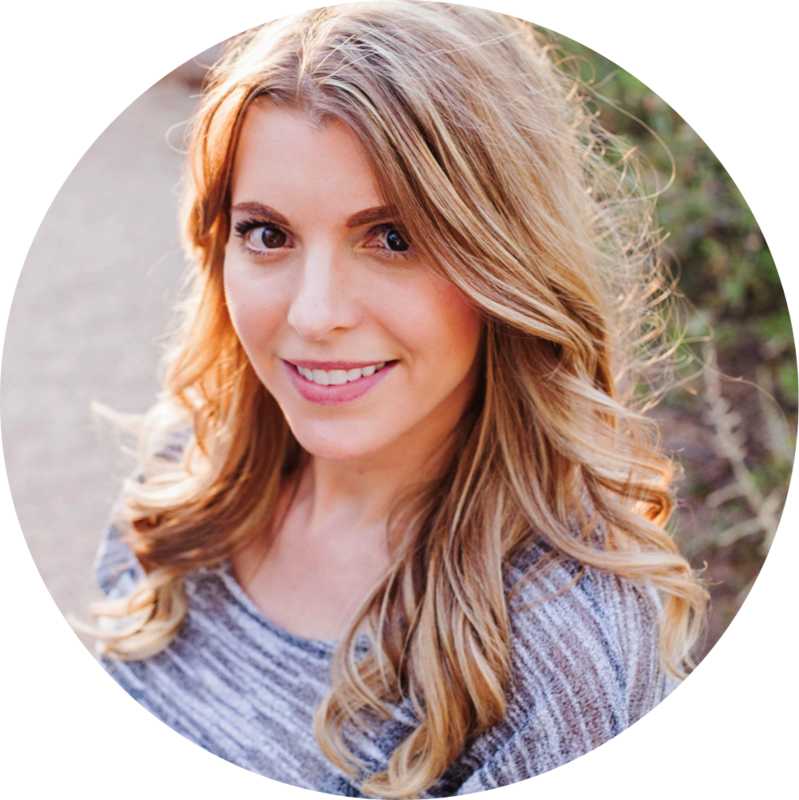 For the longest time, I kept hearing all this buzz about ‘accountable talk’…but I was never quite sure what it was exactly. I knew that allowing my students to talk with each other about their ideas and the work they were doing was good teaching practice. Not to mention, fundamental to their learning. But I also knew that not all talk promoted learning. So, what kind of talk is helpful to engage in for my student’s sustained learning? Basically, in order for classroom talk to promote learning, it must be accountable. Meaning that all aspects of a classroom talk must be accountable – to the learning community (students), to accurate and appropriate knowledge, and to rigorous thinking. At least that’s what the official definition of accountable talk told me. But I still wasn’t totally clear on what that meant. What I’ve come to understand is that accountable talk is ultimately a classroom practice based in student-centered discussion – where the students must support and defend their claims with evidence. Think about that for a minute…if you don’t understand what you’re talking about, you can’t really defend it using evidence. Which is what makes accountable talk so helpful to learning. And assessing. Student-centered discussion using accountable talk is so beneficial to your student’s learning. For one, they remain highly engaged because they are allowed to use their natural desire to talk to one another. Having accountable conversation also allows students to process the lesson material much more deeply than teacher-centered talk. 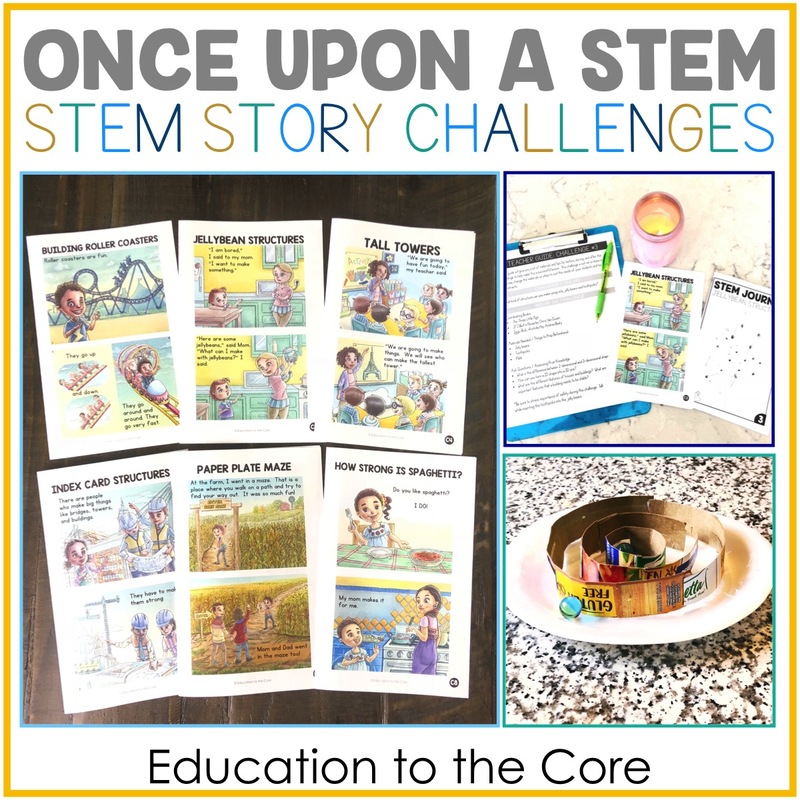 By actively discussing specific topics and defending their ideas and opinions on these topics, students internalize the material in a super authentic way. Plus, when you implement accountable talk, you’re easily able to evaluate and assess each student based on their participation in the discussion. Students can explain the connection between the discussion and learning objectives. Students utilize the text and other data sources in order to support their opinions or challenge the positions taken by others. All students actively participate in the discussion while following agreed upon norms. Anchor charts displaying the discussion norms and strategies are clearly visible. Discussion strategies and activities (pairs, small group, full class, turn and talk, think-pair-share, fishbowl, inside/outside circles, jigsaw) are utilized by the teacher to meet the learning needs of all students. Strategies and routines are initially modeled by the teacher – over time, teacher gives more responsibility to students to lead discussions. While releasing more responsibility to students, teacher occasionally acts as a participant or facilitator. Teacher may challenge students by redirecting a question back to a specific person, asking a student to recap what was said, or by questioning accuracy. 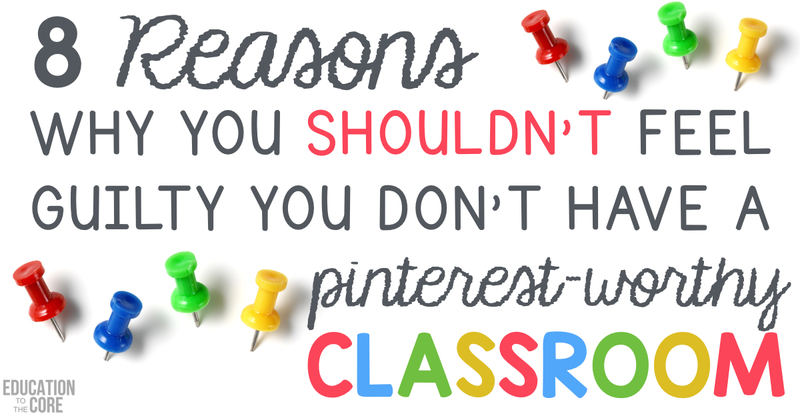 Still can’t picture what this will look like in your classroom? Sometimes it helps to see an example. Check out this video that offers a real-live look at how accountable talk works in the classroom! 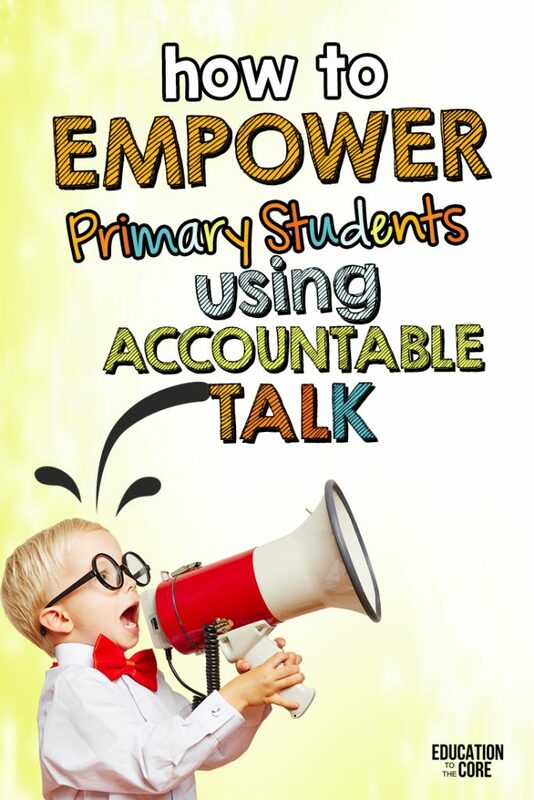 Now that you have an idea how accountable talk should look, let’s get into the steps you can take to implement accountable talk into your own classroom! It will be extremely helpful to become familiar with the basics of accountable talk before introducing it to your class. You will want to become especially familiar with the various prompts and discussion starters that you can offer your students to encourage accountable talk. I’m a list-maker by nature – aren’t all teachers? So, I made a list similar to the one below to help remind myself of the things I can say to enhance our accountable talks. By having some notes with these prompts handy during discussion, you can assure that there is never a lull in the conversation and that it stays accountable and rigorous! 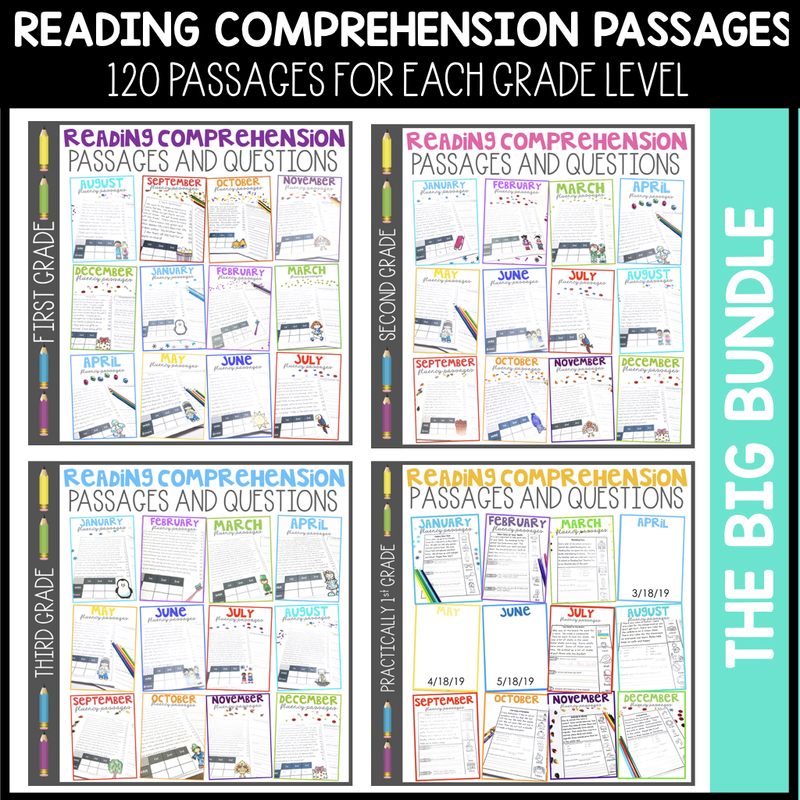 Create anchor charts and student discussion cards. 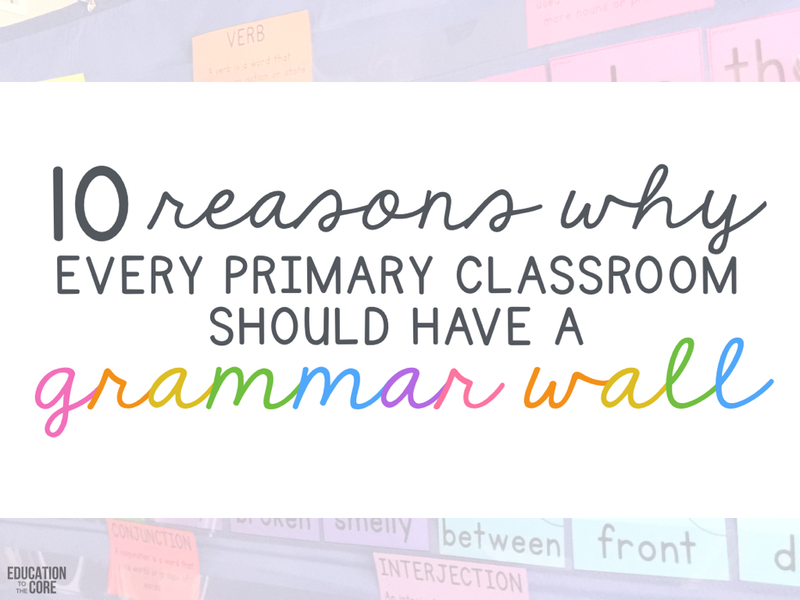 I love creating anchor charts. For anything. All the color, the organization, the creativity. Just talking about it makes me want to create one right now. Ha, ha. 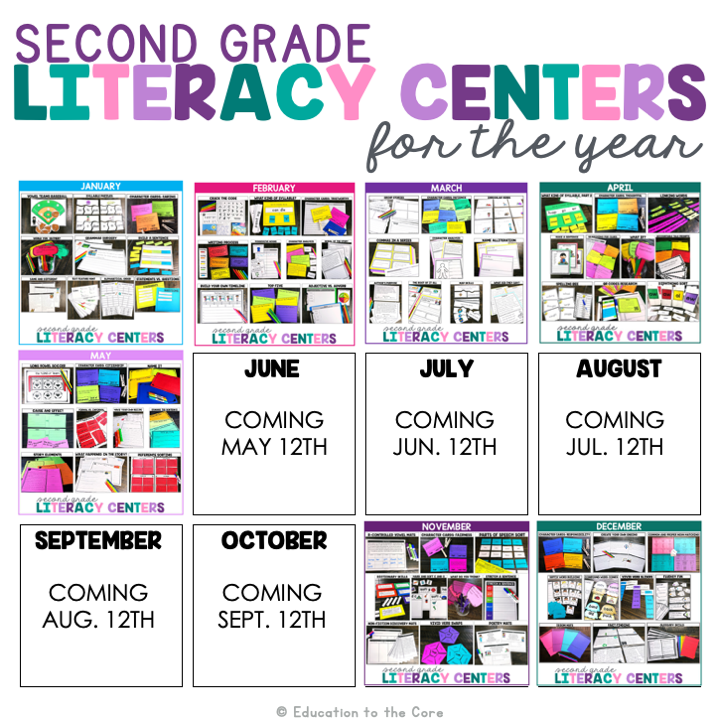 But if I’m being honest with myself, no matter how much I love reating anchor charts, they’re only effective if you actually refer to them constantly throughout instruction. Something that I definitely make a point to do during an accountable talk. As we all know, learning a new procedure can be tough for little learners. So, having reminders posted that you can refer students to is very helpful. Try creating an anchor chart with prompts and conversation starters for when students get stuck. It’s also a good idea to prepare some discussion cards prior to introducing accountable talks to your class. Check out a great product to assist with your accountable talk cards by Education to the Core on Teachers Pay Teachers. 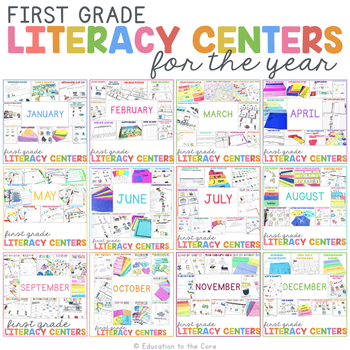 These can be similar or identical to the anchor charts and simply allow for a more tangible accessory for students to refer to during the talks. Plan how you will introduce accountable talk. You can never be too prepared when it comes to teaching your class a new procedure or routine. No matter how well prepared I am, it always seems that a student will catch me off-guard with a question that I hadn’t expected. By planning ahead, you can reduce stress and have answers ready for all of those curious questions. Aside from preparing for questions that students have, how will you logistically introduce the idea of accountable talk? With a video? An activity? A discussion? 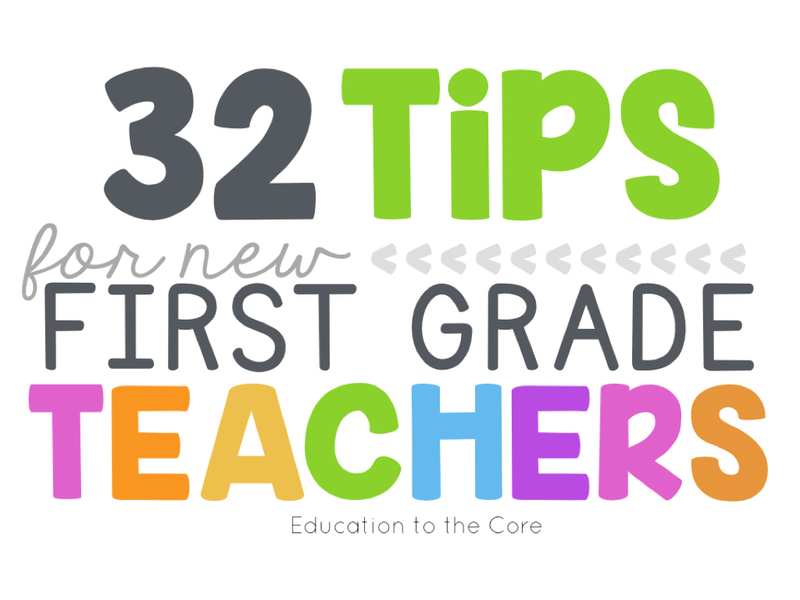 I love introducing new procedures, activities, or topics with videos. They catch your student’s attention and allow them to really become interested in whatever you’re introducing. Whatever you decide, make sure you have a game plan. If your students see you getting flustered just by introducing accountable talks, you can bet that they too will feel flustered as they try to learn this new procedure. 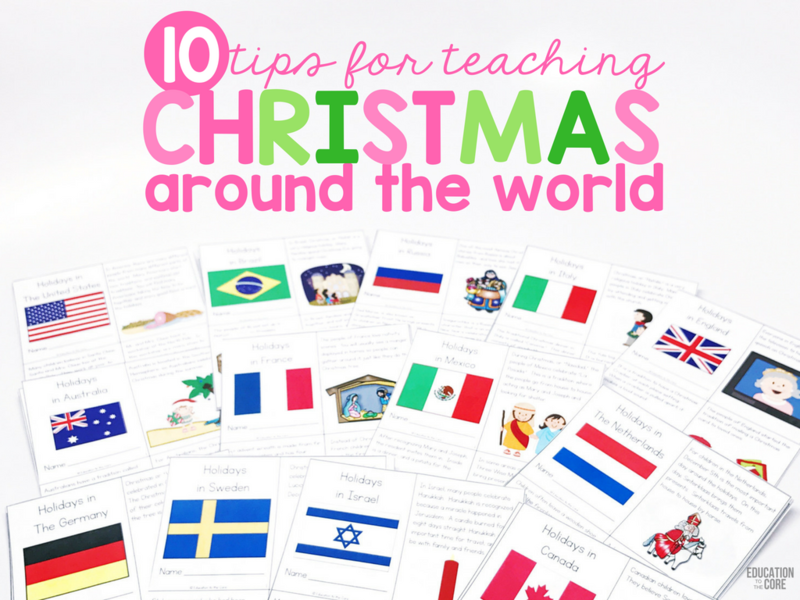 What are the key concepts I want my students to learn in this lesson? What are the big ideas I want them to grapple with? How do these ideas relate to what we’ve just done? What instructional task will support the accomplishment of the purpose? Will this question or problem work best as a whole group discussion, as small group work, or as partner work? Should I set this topic up with a whole group discussion and then stop at a certain point and have the students turn and talk with partners? If so, precisely when should I tell them to do partner talk? What question should I have them think about with their partner? What classroom management issues do I consider? How will I keep the group or partner talk meaningful? What response stems are appropriate for the context and content of the lesson? What expected student responses should I prepared for and how will I address them? When you feel that you personally are prepared and well-versed in accountable talks, it’s time to expose your students to this new idea that you will be implementing! While I love using videos to introduce new procedure or concept, a class discussion is a great way to introduce accountable talks. After all, the whole basis for accountable talks is class discussion! 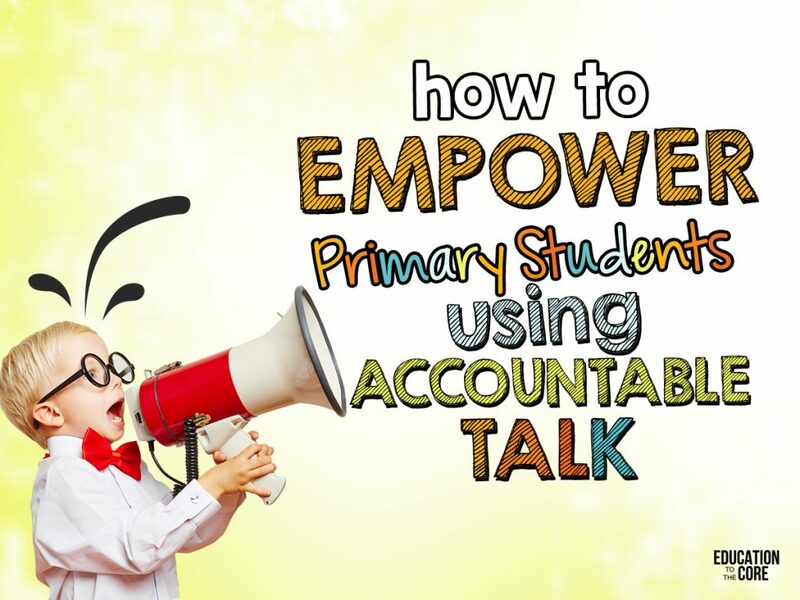 Start by asking your kids if they know what accountable talk is? Have a brainstorming session where all ideas and thoughts about accountable talk are welcome. You can even make a list as a class and then go back and review it once they understand what an accountable talk is! Explain that in a learning discussion, each contributor to the conversation is held accountable. This means that each person must give reasons and evidence for their opinions. Pick a sample topic to try out an accountable talk with. Usually it’s a good idea to start with something simple – like being a good friend or how to behave in the lunchroom. These are simple topics that allow students to get comfortable with the style of conversation without having to worry too much about the material or topic – yet. I wrote this on the board when I introduced accountable talk and we discussed what this meant. I found that this very simple statement REALLY drove home the idea of accountable talks! When developing a new classroom routine or activity, it’s important to establish procedures and expectations. Discuss your expectations and the procedures you expect to be followed during accountable talks with students. You will likely want to stress the importance of giving text based evidence for responses. You will also want to create a set of ‘norms’ for accountable talks. These are basically just guidelines to help your students successfully engage in accountable talk. I wanted my students to feel like they had a say in the rules and regulations that we adhered to during accountable talks. So, rather than putting up a list of ‘norms’, I offered my class a few suggestions and let them take it from there. Our body language/eye contact shows we’re paying attention. We will keep our comments are connected to previous ideas. We will avoid multiple conversations. We will listen attentively to one another – to be good talkers, we must be good listeners. We will elaborate and build upon each other’s ideas and contributions. Our talk will remain related to text/subject/issue. We will help all students feel safe to express ideas. We will keep our talk about issues rather than other students. We will work to expand on ideas and topics that we are discussing. We will summarize & paraphrase each other’s argument(s). We will not interrupt each other. We will provide evidence for claims and arguments. We will explain our thinking process. When introducing and implementing accountable talk for the first time, it is all about the release of responsibility. The first time we tried an accountable talk in my classroom, I was doing a lot more talking than I usually would during accountable talks. It can be very helpful for my kids to see me model how accountable talks work – kind of a guided practice type situation. The more and more that we practice accountable talk and the more comfortable my kids get with it – I talk less, and they talk more. When we held our first accountable talk, I started with really pushing the idea of good listening equals good discussion. Next, we moved on to respectful disagreeing. We discussed that we don’t always have to agree – in fact, disagreeing sometimes leads to great conversation and learning! But we do always have to be respectful. After practicing these two big concepts for a few days, I felt that they understood them and it was time to try out a real conversation. I explained that I was going to read a story to the class. Periodically, I would be stopping to ask questions. But after I asked the question, I was not going to say anything else. I was not going to call on anyone. It was up to them to discuss as a class without interrupting each other and to support their ideas with evidence. I wasn’t sure that they could handle it but I was just jumping in with both feet – and…they did it!! It wasn’t perfect, it wasn’t without bumps in the road – but, they loved it. And they participated! They really got into it! I honestly think it was harder for me than it was for them. I had to consciously bite my lip multiple times to not jump in and insert my opinion or guide them. But I was so thrilled to see them actually help each other! And that’s the beauty of accountable talk – it allows your students to control their learning and not only deepen their own understanding of the material, but help each other in the process. With a little planning and prep work, I promise that you and your students will be loving accountable talk as much as myself and my students do. 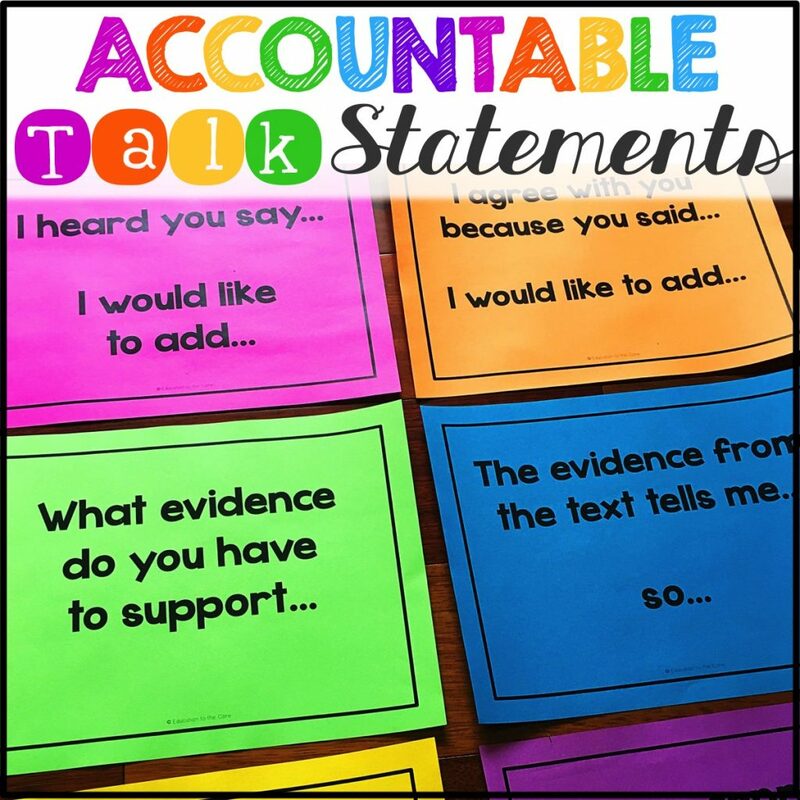 If you would like to try out Accountable Talk Statements, we offer them in our Teachers Pay Teachers Store! Click to grab our Accountable Talk Statement Posters here! 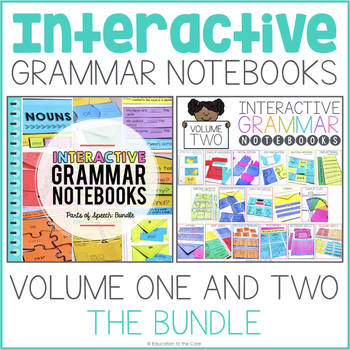 I love an interactive notebook!